I’ve been blogging for seven years now. In some ways, it feels like only yesterday. But in the other, it seems like forever ago. You see – this blog was started not long after I gave birth to Edison. He just celebrated his 7th birthday this month, and that reminds me of how ‘old’ my blog is. So, I’m sitting in front of my PC today in awe of how much has happened since that first day I registered my Blogspot and said Hi to the unknown faces of the internet. Truth be told, I’m the kind of person who tends to get bored easily. Every time I start a project, I will lose interest gradually, and eventually it will stop before I realize it. But blogging is an exception. Despite all the challenges, I manage to write consistently for the past 7 years, and I don’t think I will ever stop. While much has changed in the blogging world especially with the increasing social media avenues, this blog has remains pretty much the same. It’s still me as the writer and creator of this space, sharing my life as a working mom, my thoughts and experiences on parenting, memorable moments with my family, and issues close to my heart. When I first started this blog, I had no idea that other people besides my family and friends would read it. Then, it surprised me when readers like you came to read along, and even more so when you continued to come back. Thank you for joining me! It has been an amazing journey so far. One of the happiest moments in my blogging journey is joining Nuffnang two years ago. This is the biggest milestone in my blogging career – being able to join Asia’s first and leading blog advertising community. Since then, it has opened a wide arena of opportunities for me. From writing advertorials for top brands such as Eu Yan Sang, StarHub and LEGO, to attending events like Singapore Kindness Movement and Families for Life, it has been a wonderful working experience and partnership with the fun and friendly Nuffnang family! I never expect that my blog writing can be so rewarding (in both monetary and non-monetary ways), and I’m truly grateful for all the support, guidance and opportunities that Nuffnang has given to me. Every day is a learning journey for me, and I’m motivated to improve myself in every perspective. When I first started my advertorial writing, I was inexperienced and ended up with many major edits from the client. With proper guidance from the Nuffies, I learnt the art of writing a good advertorial. In my most recent assignment, I only need to do one minor edit, and I was truly excited. Beside advertorials, I’m invited to the coolest events in town organized by Nuffnang. 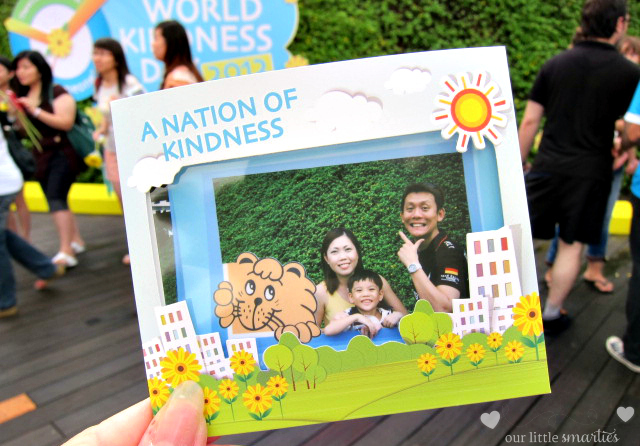 One of the most memorable events is Singapore Kindness Movement in year 2012. I was part of the blogger team to create a video to showcase various kindness acts. When my video was shown on the big screen at the event held at VivoCity, I felt so honoured. And also a bit shy (I had to hide my fat face, LOL). Every time I receive an advertorial assignment, I put in my best efforts. 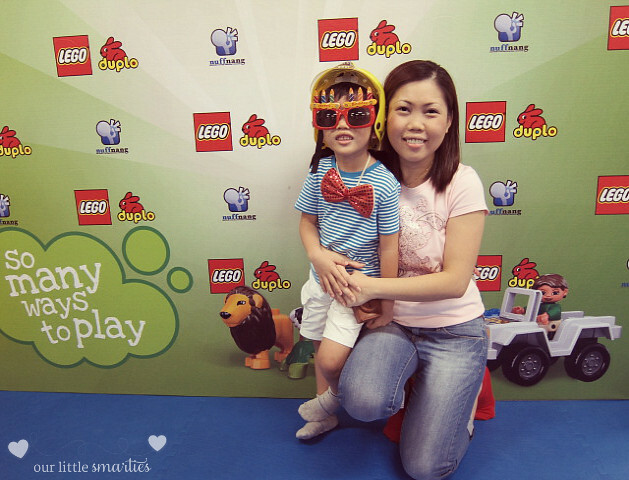 It isn’t easy, considering that I’m a full-time working mother. I’ve to juggle work, family and blogging. For each advertorial post that I write, I’ve to sacrifice my sleep, personal time, or even family time. Last Saturday, I woke up at 5:30am to work on an advertorial on health supplement. Yes, it was 5:30am when the sky was still dark. After Edison woke up and had his breakfast at 9am, he wanted me to bring him to the playground. I was stunned for a while, before feeling extremely guilty for all my broken promises. Then, I stopped my work and brought him to the playground. Work resumed after he went to bed that night. It isn’t easy as some of you may think. Sometimes the Husband wonders why I work so hard when I’m already earning a decent salary from my full-time job. It’s the PASSION, and I really enjoy what I’m doing. It’s also my DREAM that one day I can quit my job and become a full-time blogger (and still earning enough moolah to spend!). Finally, it’s my personal ACHIEVEMENT that I can be proud of. Every time I receive a new assignment from Nuffnang, I’m jumping with joy. I look forward to experience new things. One thing that is worth mentioning – I really appreciate the Nuffies for always checking with me before they accept a project for me. Thanks to all the kind Nuffies and Churpies – Madeline, Jayne, Gillian, Sarah, Amanda and Melissa for the wonderful partnership. You girls are awesome! Last but not least, I’ve an important announcement to make (before I wrap up this long-winded post). I’m officially part of the Bloggerati family! Bloggerati is the talent agency division of Nuffnang. They work with the top bloggers from their community of thousands, and closely manage their successful brand partnerships, media relations and professional development. I’m flattered to be in this team alongside top bloggers like Xiaxue, QiuQiu and Velda Tan. I’m excited to continue developing my blog, and I see my partnership with Nuffnang as one step closer to my dream. This blog has grown steadily over the past two years and as I move forward, I’m glad to have Bloggerati to assist me in brand collaborations so that I can concentrate doing what I like best – that is writing this blog, of course! Thanks to you for reading this blog too! You’re welcome. Thanks for the great partnership too! can u tell me how to add the code into my blog wordpress from nuffnang? The instruction is on Nuffnang website after you log-in and choose the type of ads banner you want to put on your blog. Can you see that?